The U.S. Secretary of Labor questioned the legality of certain inquiries being made by Donald Trump's team on Tuesday, reports The Hill. 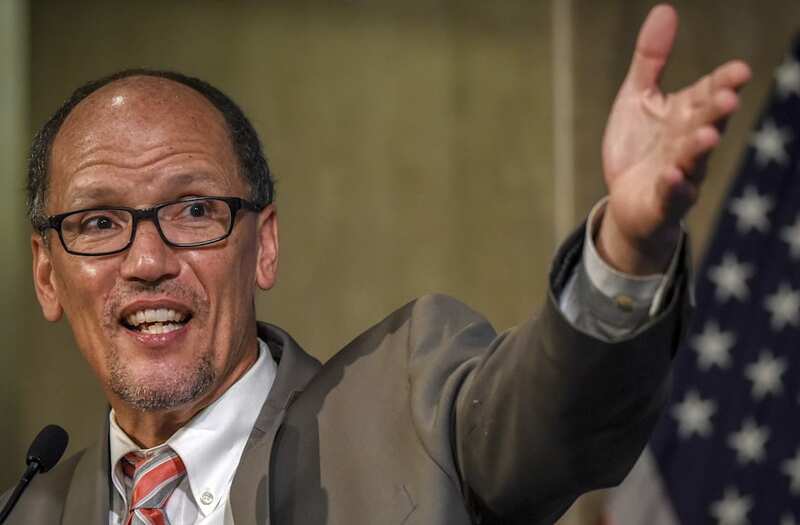 In a recent interview, Tom Perez referred to a questionnaire that had been circulated in an attempt to attain the names of Energy Department and other staff involved with climate change-related work. According to CBS News, Secretary Perez flat out stated, "Those questions have no place in a transition. That is illegal." He also reportedly added, "Will dedicated career people be targeted because they were doing the right work?" The Trump team has since distanced itself from the activity, with one official telling CNN, "The questionnaire was not authorized or part of our standard protocol. The person who sent it has been properly counseled." However, some government insiders continue to be concerned, particularly since there was a more recent State Department inquiry by the incoming administration related to what has been described as "gender-related staffing, programming and funding."